Two dear friends of ours were hit head on by a wrong way driver on Nov 8. Jared managed to escape with bumps and bruises while Angie has to undergo several procedures to correct spinal damage, broken rib, and crushed wrist to name a few. She has a long road to recovery and will likely be out of work and out of a vehicle (it was their only vehicle that was totaled) for some time. Please donate what you can. Every bit helps to relieve the stress and change that comes with these situations. Thank you for taking the time to read this and please wear your seatbelts and love on those you have in your life. "I've gotten more than a few messages recently asking about how Angie is doing. She's in fine spirits, but her physical recovery is long, slow, and very painful. Every day, Angie has to struggle just to do simple tasks like sitting up or shifting. Wheelchair transfers require assistance, because she can't bear weight in her legs. She can't move herself in her chair because only one hand and no legs can handle the strain. Her total injuries include a fractured skull, damaged right eye, damaged hearing, broken neck ligaments, shattered right wrist, broken ribs, damaged spleen, broken left ankle and shattered right ankle. She has continuous pain from almost all of these injuries, and the healing timetable is months long. She can't see straight or hear correctly. She is dependent on help for almost every basic aspect of her life, and will be for a long time yet. She engages and thrives in therapy ten times a week. It's hard. She travels to the hospital a lot, always by ambulance, and it's painful and exhausting. Her days are spent exercising and doing things she has to do to get stronger. In all of this, she's extraordinary in graciousness and humor. She pushes herself. Victories are tiny, but every one is precious. Sitting up on the side of the bed. Learning to use the fingers on her right hand again. Stuff like that. I wanted to let you guys know the real scoop, what's really up, not for your sympathy, but so those of you asking or wondering can understand how challenging her day to day life is. I love her. I am beyond proud of her. And it's a very, very long trial ahead." I had a chance to speak Angie last night. The respirator had been removed and she was able to whisper and even crack a few jokes. Jared and I told her of the outpouring of donations and messages that you all have made happen and it brought a smile to her face. Her neck surgery was postponed to Monday or a Tuesday due to equipment problems and the oncoming shift change but she is ready to get it over with. It will be the most risky and important surgery she has yet. Thank you for your continued prayers and positive thoughts! Your positive thoughts and prayers are welcomed at this time. Overwhelmed by the support everyone has shown. Jared is speechless and that takes some doing! We have doubled over the goal for these two and broke 10k towards their recovery! Thank you so much for taking action! It means so much! I don't know the family personally, but Jared is a big part of the IGN community and I wanted to give them my prayers personally. God Bless. The last heard (late last night) Angie was being moved to San Francisco General; but the infection issue seemed less dangerous than previous thought. That's all I know right now. Jared called this weekend. Angie was/is to be moved to a step-down unit, and shows no signs of infection! Pray the pain lessens as each minute goes by; and infection stays away. Thank you ALL again for your many kindnesses. Wed., 11/19: John called this morning. Angie is doing so well, they are going to operate on her wrist and leg! Still need to avoid infection. John just called (about 7:10 PM, EST). The surgeon said it was an exceptional surgery that went exceptionally well! Thank God! Please keep praying as infection is now Angie's worst enemy, and needs to be avoided at all costs. Thank you all for your generosity and kindness. God bless. Jared, you're one of my favorite guys to have in the ever-rotating-3rd-chair. I was so saddened when I heard this news this morning. My fiance and I are praying for you and Angie. We will try and spread awareness among our friends on Facebook and Twitter, and we will donate what we can this weekend (Friday = payday). Be strong, sir. Give Angie our regards. The support this gets from the community makes me incredibly happy. Have a swift recovery Angie and Jared!!! Jared, this is truly horrible what you and Angie are going through. We wish you all the best and a speedy recovery. You are in our prayers and as soon as I have some cash available, I will gladly chip in. We know what medical bills can do even if you have uninsured motorist coverage. Take whatever time you need to recover and we hope you can return to work and daily life better than ever. I don't have any spare coin, but I do offer you my thoughts. Tried to post this earlier today, but somehow messed up. All to the good, as even more wonderful, generous people have blessed Jared and Angie. Thank you for ALL your contributions. May God richly bless each and every one of you! All donations are going to the Petty family to help with their high medical bills for multiple surgeries, time in the hospital, rehab, etc, plus months out of work. Also yes, the other did not have a license or insurance so they will also need a new vehicle. Jackson Wan - they'll probably use the money for all of the above. 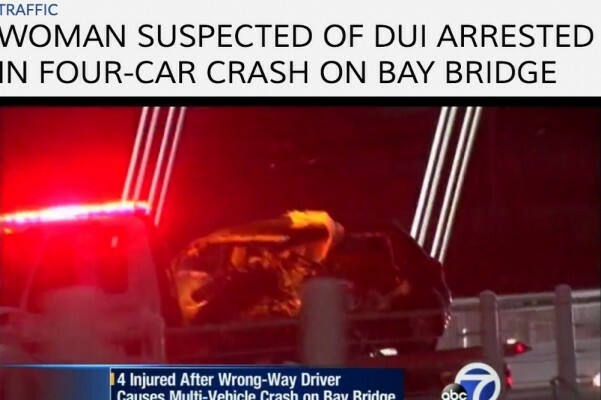 According to the news reports the driver of the car that caused the crash didn't have a license and that probably means she didn't have insurance either. IMHO, their GoFundMe should have another zero behind it because their out-of-pocket expenses are going to be HUGE. First off, I wish you both a speedy recovery. I just wanted to know if you can provide a little more info as to where the money is going exactly (especially now that you're way past your original goal)? Is it medical expenses, auto-repair costs, long-term disability insurance, legal fees (if you plan on pressing charges), etc?